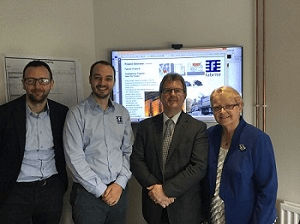 Fabrite welcomed Sir Jeffrey Donaldson MP and Cllr. Margaret Tolerton to tour our manufacturing facility and to get an update on our many successful projects throughout the UK. We are thankful for the support and input from our local representatives and local council.